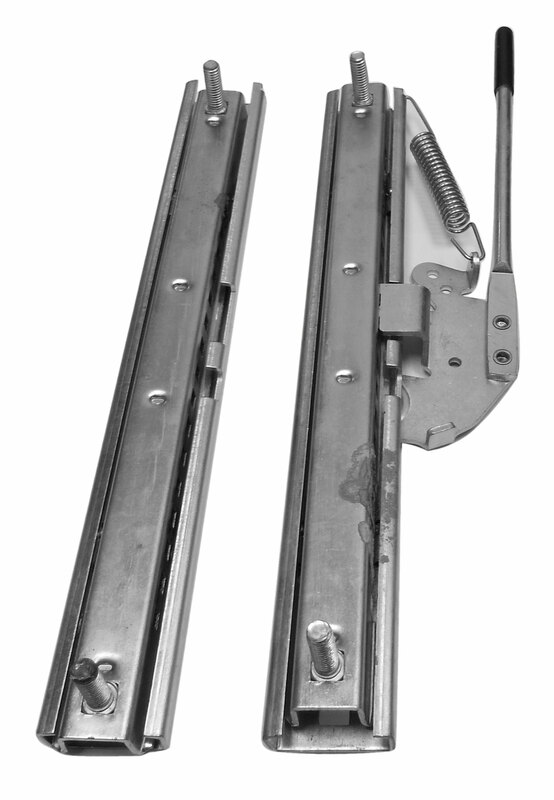 This is a 2 piece seat track assembly with a mechanical adjuster. Perfect for making your yard kart seat movable to provide maximum comfort and safety for all aged riders! Mounting studs measure 11" on center. Mounting holes are 11-1/2" on center. * This was compatible with for the Yerf-Dog go-karts. Just bought three of these for my yerf dogs. Solved my hard seat adjustment issues. Great quality. Q: Does this fit the kinder raptor 250? Do you have the dimensions as well? Q: Seems like a very cheap price. Why? Q: Are you sure of the total travel of these sliders? Reason is I have some that are too long for my application, & their travel is 9" Total. 3" to 4" would work. Left Spindle for Yerf-Dog "Pup"